Requirement for wheeled armoured vehicles appeared between First and Second World Wars, and in 1930s Germany started serial production of such vehicles for its recon units. Widespread usage of wheeled armored vehicles only started after World War II. In 1970s, 1980s and 1990s, new generations of wheeled armored vehicles appear, responding to military requirements for increased mobility, protection and firepower. Still, wheeled armored vehicle development lags behind tracked AFV development due to their significantly inferior off-road mobility, inferior firepower and inferior protection due to lower carriage capability of configuration. New lease of life wheeled vehicles were given as a result of an air-land battle doctrine, a response to 3:1 advantage in armored forces by the Eastern block. There are also requirements for infantry transport, quick strikes, anti-tank combat at low and medium range, anti-air defense, fire support etc. Light armoured vehicles are receiving large-calibre guns, anti-tank missiles and other heavy weapons, and are being integrated into combat units. Recon vehicles are adapted for frontline use in peacekeeping operations through improvements in firepower and armor, albeit at the cost of sacrificed mobility. Still, airborne forces typically lack sufficient protected firepower platform, especially since few to no militaries still operate light tanks that can be deployed via parachute. Recon armoured vehicles are expected to have encounters with enemy armor at distances of 1.200-2.000 meters. Thus some vehicles are configured as tank destroyers, with 90 / 105 mm cannon. Due to inferior armoured protection, ability to hit and destroy the enemy with first projectile is of high importance. For engagements at longer ranges, recon armoured vehicles are armed with anti-tank missiles with range of 3.000-4.000 meters. As modern tanks can pass first 100 meters after starting from static position in 15-20 seconds, tank destroyers have to have 10 second or lesser processing time to prevent the tank from avoiding fire. Wheel drive is inferior to tracked drive when it comes to resillience and mobility over rough terrain, but is superior in road mobility and price. Because of this, it is impossible for tracked vehicles to completely replace wheeled vehicles, but it is also impossible for wheeled vehicles to completely replace tracked ones. However, modern militaries have higher focus on wheeled vehicles due to easier long-range transport, continued mobility in the case of damage of 1-2 wheels, lower production price, greater reliability and maintainability. This is countered by the fact that wheeled and half-tracked vehicles are unsuitable for heavily bogged conditions; to be fully effective, they require solid, dry ground. Wheeled vehicles also have higher profile, which is not good for reconnaissance role, and similar weight to tracked vehicles. Consequently, light tracked vehicles – light tanks – are the best option for reconnaissance. As noted, they have to have heavy armament: they have to be able to fight for information, as before winning an actual battle, a reconnaissance battle must be won. Up until recently, only tracked vehicles – tanks, tank destroyers and self-propelled guns – had large-calibre high velocity guns. Guns of 90 mm calibre were long utilized for the low-velocity guns on wheeled vehicles, with small dimensions of gun allowing mounting on a variety of platforms. However, due to need to fire KE anti-tank munitions, high-pressure long barreled guns capable of producing high velocities were introduced, which then meant utilizing larger and heavier vehicles, so that the vehicle doesn’t roll over when firing from the flank. But very quickly, this calibre was replaced by 105 mm weapons. During early 1980s, several Western countries started showing increased interest for quick intervention operations, which require high strategic mobility in order to quickly transfer large number of troops across long distances from the bases. This interest was especially increased after the Soviet Union fell apart. Consequently, many Western militaries expressed a need for light combat vehicle – heavy armored car, armored reconnaissance vehicle, fire support vehicle, tank destroyer, or some combination of these. Such vehicles would be second in combat ability, right after the main battle tank, but with greater mobility. While there is a wide range of interpretations of relative importance of strategic versus tactical mobility, and mobility versus armored protection, vehicles are expected to have powerful enough gun to provide effective fire support as well as to successfully engage at least penultimate generation of main battle tanks. Consequenctly, vehicles in this category are equipped with high-pressure high-velocity gun, and are typically considered a light tank equivalent. Because of that, they are often used even in situations where their characteristics – especially insufficient armoured protection – do not allow successful utilization. Oftentimes they are used as replacements for tanks by countries that are unable or unwilling to afford actual battle tanks. Due to technical developments during 1990s, vehicles with 20-25 t weight can be equipped with 105 mm guns, allowing good balance between firepower and mobility. As 105-mm tanks are no longer in service in Western militaries, light combat vehicles with 120 mm guns are making an appearance. An example of that is a variant of Italian B1 Centauro with 120 mm gun (normally, Centauro has 105 mm gun). Polish Anders multirole combat vehicle can also mount 120 mm gun in one of its variants. However, Rheinmetall has recently unveiled 130 mm tank gun, expected to counter Russian Armata tank, so it seems that wheeled vehicles’ lag in main armament calibre continues. Many modern IFVs and APCs, such as Stryker, have a variant equipped with a high-velocity gun for direct fire support (Mobile Gun System variant). These could also be equipped with antitank missiles and unguided rockets for increased versatility and survivability (e.g. rockets could utilize white phosphorus smoke to blind enemy visual and thermal sensors). However, assault guns are worth studying. These vehicles have low hull and a limited traverse cannon mounted within the hull. This gives them advantages of low profile, efficient weight/protection ratio and high calibre weapon at the cost of being able to engage targets in all directions. Assault guns are primarily used as infantry support vehicles and secondarily as tank destroyers; they can supplement tanks in armored divisions, or support infantry, freeing tanks for other duties. Since they can have, depending on a design, higher gun elevation than tanks, they can be used in indirect fire role as well. Low profile and lack of a swiveling turret means that the vehicle the same weight as the light tank can have protection close to or rivaling the medium tank. Lack of turret would also eliminate the vulnerable turret-hull junction. Other possibilities also exist. A light armored vehicle with a mortar can serve as useful air-transportable and air-deployable infantry support. Mounting a high-calibre recoilless rifle on a turretless APC can provide a useful platform in direct fire support, bunker destruction and anti-tank roles while supporting dismounted infantry. Light APC with such weapons will also be air-deployable, increasing operational and strategic mobility. Air-droppable light tanks are important for forced entry operations, such as airfield seizure and other missions. They are also better capable of following infantry through rough terrain than heavy tanks, as well as more survivable than IFVs. Airborne and air assault missions right now depend on heavy tanks reaching them in time, which is risky due to time delay (especially when the heavy tank in question is fuel-hungry M1 Abrams). Stryker MGS, a Stryker variant equipped with a high-calibre gun, is too heavy to be transported by C-130, making it impractical for intra-theater transport and airdrop. Tracked vehicles have lower profile and better armored protection for the given weight; they can also successfully utilize more powerful weapons than their wheeled counterparts. A dedicated light tank is the best option for this; a defunct Armored Gun System was a good solution. Light infantry simply does not have the firepower to defend themselves or to attack critical defended targets, and IFV/APC infantry carriers have to pay the price of troop carrying capability in mobility, firepower, armored protection, or some combination of these characteristics. As a result, they are vulnerable to a wide assortmant of weapons, as they cannot suppress anti-tank missiles and recoilless rifles when those are used in anti-infantry role, and have limited options against modern tanks with advanced active and passive protection systems. But the US Army bureocracy refuses to adress the problem as doing so does not fit their subjective reality. Tank destroyers – in reality light tanks or assault guns with comparatively overpowered antitank guns – were highly successful during World War II, but the US Army bureocracy immediately retired them after World War II. As a result, neither tank destroyers nor the P-47 Thunderbolt CAS fighter (also retired immediately after World War II) were available during the early phases of the Korean War, when T-34/85s of the North Korean army rolled over South Korean and US troops. How effective air-dropped light tanks could be was shown on June 7th, 1944., when mere sight of Tetrarch light tanks resulted in the Germans not counter-attacking the British 6th Airborne. While they were incapable of defeating modern German tanks, such as Panther and Tiger (and even late-war Panzer IV), they were extremely useful in destroying pillboxes and machine gun nests. This however is ignored by the “experts” who care only about fapping at statistics and “who has the bigger stick” instead of knowing how the said stick was used. Its 37 mm gun was perfectly adequate to dismantle machine gun positions, something even Bazooka-equipped infantry were incapable of doing as they would be pinned down. British also had Hamilcar, a glider capable of carrying light tanks, an idea which Americans later copied. However, US glider capabilities were woefully inadequate, with payload capacity of mere 10 tons. On the other hand, the Battle for Arnheim was lost because towed AT guns could not get into action to destroy two German armored cars guarding the Rhine bridge. Both fronts in World War II saw heavy use of tank destroyers. These came into two basic configuration, light tank and assault gun one. Their primary difference from both light tanks and assault guns was usage of disproportionately powerful high-velocity anti-tank guns, as well as the fact that tank destroyers typically had no roof to allow crews better visibility, so as to better be able to get in the first shot against tanks. United States typically used tank destroyers in turreted (light tank) configuration, while Germans preferred assault gun configuration (without turret), including heavy covered tank destroyers such as Jagdpanther and Jagdtiger but also light open-roof tank destroyers of the Marder and Jagdpanzer families. Possibly the most successful tank destroyer of the war was German StuG III assault gun, a small and lightweight turretless vehicle with a powerful gun which was also the most produced German armored vehicle of the war. In Italy, Sherman proved its superior cross-country mobility compared to German tanks. While Hitler kept insisting on heavier armor and bigger gun for German tanks (culminating in Tiger II, of which M1 Abrams is a conceptual copy), both the Army and the armaments industry wanted smaller, lighter, more mobile tanks with powerful guns. Most losses of Tiger I and II tanks, just like M1 Abrams, were to technical problems; in one case, a Tiger battalion lost all but two tanks to breakdown and stupidity. After 1945, US Army did away with all of their light tanks and tank destroyers. Few M24s that remained in service were given to undertrained occupation troops, and many were lost in combat against superior T-34. No additional M24s were flown in, and there was no light tank or tank destroyer with sufficiently powerful high-calibre gun (M24 utilized the same 75 mm gun as the early M4 Shermans, instead of the long-barreled 76 mm gun). When additional M24s were finally brought to Korea, they managed to hold the Pusan perimeter against heavier-gunned T-34/85 tanks until more powerful M4 Sherman and M26 Pershing were brought in. Later in the war, they were extremely successful in the reconnaissance role while M4 Sherman, M26 Pershing, M46 Patton and Centurion III took over antitank role. In general, it proved to be mobile, reliable and comparatively well armed. It was later used by French forces in Indochina fighting the Viet Minh, as well as in the Algerian war. Question to be asked here however is why there were no tank destroyers of either configuration, even though M18 Hellcat and M36 Jackson were mass produced during World War II, and M18 at least could have been easily flown in or airdropped by existing C-130s? It should be noted that in Korea, M4A3 Sherman became the main US battle tank. While it had high silhouette, light armor and an inadequate gun, it was far more maneuverable in Korean terrain than heavier tanks. This again shows how light, thin-skinned but powerfully armed tank destroyers could have been useful due to their superior mobility compared to heavy tanks. In the Falklands, British Scorpion/Scimitar light tanks went against Argentine Panhard-90 wheeled armored cars. Panhards got bogged down in the difficult terrain, whereas tracked light tanks had no such issues. During the operation Desert Storm, unreliable and fuel-thirsty M1 Abrams tanks were too slow to catch the escaping Iraqi forces; they had to stop every few hours for refuel&repair. This might not have been a problem, but the US generals running the war failed to drop the light forces in front of the Iraqi Guard. As a result, the Iraqi Guard escaped intact, and was able to prop up the Saddam regime which survived until 2003. However, light tank forces were dropped into Saudi Arabia to protect their oil wells. Much like the A-10, they were punished for their success. M551 Sheridan was retired in 1993, AGS system purchase cancelled and the Army Airborne light tank unit dissolved in 1997. And because US Army Airborne had no air-dropped tanks, they had to rely on road-bound heavy tank support again in 2003., which again allowed Saddam’s leadership to escape and wage a guerrilla war against the US forces. The United States are fielding the heaviest MBT / IFV combination in 70-ton M1 Abrams tank and 30-ton M2 Bradley IFV, at huge logistical cost. Turretless tank destroyers / assault guns, as noted earlier, have low profile, efficient weight/protection ratio and high calibre weapon. This improves their mobility and makes them ideal for airborne application. This also makes them ideal in defensive role as proven during World War II, when StuG III was possibly the most successful tank destroyer of the war. For offensive role, light tanks with turrets could be dissassembled (turret removed) and flown in, if transport aircraft large enough to fly in whole vehicles are not avaliable. Another possibility, with an adequate transport aircraft, is dropping the tanks – without parachutes – from low altitudes; for this, transport aircraft should be capable of minimum speeds little slower than tank’s maximum driving speed. This could also be done with detachable cargo compartments. Either tank destroyers, or French AMX-13 light tank, would have been ideal for airborne tank role. Light tanks in general tend to have better mobility than heavier counterparts. This makes them ideal for maneuver, but also means that they have to be able to deal with enemy heavy tanks. A generalist tank in 40-ton class would likely provide an ideal balance of firepower, mobility and protection; however, it is not suitable for airborne maneuver. Light tanks of 20 ton class would be ideal for airborne divisions, which should combine air-transported mounted infantry and armor with integral close air support and air superiority component, which would be under authority of a division commander instead of Air Force commander. These divisions would form the backbone of any rapid response force, and all elements of a division would be trained to operate in concert. Ground elements of such divisions would also be resupplied by air; volume of resupply of fuel, ammunition and spare parts should be enough for a division to cover 200 kilometers per day (this distance should also be standard for non-airborne medium and heavy armored divisions). Meanwhile, heavy tanks should be resupplied by land via tracked trucks and armored resupply vehicles, to avoid having thin-skinned wheeled trucks destroyed or disabled by enemy fire, or bogged down in sand or mud. Such tanks and support vehicles could also be airdropped by C-130 Hercules via LAPES system, increasing the number of possible deployment sites. Since CH-47 helicopter has a lift capacity of 10 t, a light tank in 8-10 ton class could be embarked on fleet aircraft carriers and civilian cargo ships in addition to dedicated assault ships, and then carried to shore by helicopter. If combined with AH-64 Apache or – preferably – navalized A-10 plus navalized air superiority aircraft (F-18C, Rafale M), they could be quickly ferried across the sea and thus form the basis of rapid-response Navy/Marine units. Otherwise, such rapid response units would be mostly identical to the above-described concept of rapid-response division. Such light armored airborne forces could also be quickly deployed to closed urban or jungle terrain, where heavy tanks cannot go or are rendered useless. Once there, light tanks have to be able to quickly taverse difficult terrain, waterways included – in short, do everything heavy tanks cannot (it took three days of bridging efforts to get the M1 tanks across the Sava River in Bosnia). This means that at least some tanks should be amphibious, and that such units should have no wheeled vehicles (even jeeps, if used, should be tracked, as should the entirety of supply and support element). Light tanks could also shoot white phosphorus grenades from main gun to call down air strikes, and some could be equipped with short-barrelled howitzers instead of high-velocity cannons in order to provide indirect fire support. Since tank’s main task is to – directly or indirectly – support infantry, any tank that cannot go where infantry goes is already half-useless, limiting itself to indirect support via maneuver, if even that. Heavy tanks, especially turbine-driven designs, cannot stay with the infantry in difficult terrain, and cannot provide maneuver support that medium and light tanks can. What is needed is a light tank with high-calibre gun, which can stay with the infantry and provide direct fire HE and machine gun support, as well as to destroy enemy armored vehicles – tanks included – should those appear. Further, such tank should have high main gun elevation, since heavy weight and limited main gun elevation of existing heavy tanks limit their effectiveness in any terrain except open, flat plain or desert. Among other things, direct-fire HE is an excellent anti-sniper weapon, but for such application in urban area, one needs either a tank with high elevation of main gun, or infantry-transportable recoilless rifle; preferably both. In general, defending forces can do very well with significantly less powerful tanks than attacking force when properly managed. This means that comparatively thin-skinned tanks and tank destroyers, if equipped with sufficiently powerful antitank guns, can help airborne forces hold the captured objectives until heavy units can be brought it. Current LAV / Stryker system is too heavy and too vulnerable for such a task; only possible solution is development of an actual light tank. In fact, as one British armored historian has noted, there is no evidence for an army with few good tanks winning against an army with many mediocre ones. In the Gulf War, which he cites as an exception, decisive difference was in the training and organization – Iraq employed tanks exclusively as self-propelled artillery or static pillboxes, whereas Coalition employed them as maneuver warfare tools. In any case, while difference in losses was indeed staggering, Coalition had 3.360 tanks against 4.230 Iraqi ones, a near-parity. But today’s armor lives by the “there is no cavalry but elephants” way of thought, and as a result Western militaries are deploying semi-mobile pillboxes instead of actual tanks, preferring to play “shoot-the-dot” long-distance games instead of actual “fire and maneuver”. War is all about patterns. Once you have identified enemy’s patterns, you win. In order to prevent patterns from forming, mobility is required – both physical and mental mobility. And in vehicles, physical mobility means staying off the roads, which makes light, versatile vehicles crucial. Especially tracked vehicles, since without tracks, there is no offroad mobility. Technology is easily countered; network-centric approach is unreliable, and reliance on either results in formation of patterns which are easily countered. This entry was posted on February 1, 2017 at 6:00 am	and is filed under weapons. Tagged: fire support, high-calibre weapons, light armour, light armoured vehicles, light combat vehicles. You can follow any responses to this entry through the RSS 2.0 feed. You can leave a response, or trackback from your own site. If they do try to put heavy guns on wheeled vehicles, I’m sure that this will become a common sight. A heavy gun on top would make such a vehicle even more top heavy. If anyone was inside that vehicle, they would be dead. This type of wheeled vehicle is not going to work. How about the German Wiesel 2? Tracked, approximately 5 tons in weight, and air transportable. Variants include a TOW equipped version, 120mm mortar version, and an air defense version. I’d like to see a recoilless rifle version for a direct fire support capability. Currently I believe that is provided by the version equipped with a 20mm cannon but after seeing the effectiveness of the ONTOS in the battle of Hue I see a strong argument for the return of the large-caliber recoilless rifle to a modern lightly armored vehicle like the Wiesel. Much cheaper and effective in the direct support role than a missile and can take on any armor short of a MBT. Yes, that is an excellent vehicle. I wonder If a 125-130 mm Calibre one would do against modern MBT armour though. The British 120mm WOMBAT fired a HESH round reported to be able to penetrate 400mm of armor. It had an effective range reportedly of 1,000 meters. The US M40 106mm (really 105mm) was similarly reported to be able to penetrate 400mm of armor with a HEAT round although it is also reported that the Austrians and Swedes developed an improved HEAT round capable of penetrating 700mm. The M40 had a effective range of 1,350 meters and has been reported to be in use currently in Syria. I think you could take a Wiesel and mount an open topped turret sort of like what they mount on up armored Humvees and then you have a cheap direct fire option that is air portable. The only change I would suggest is to mount a thin armored skirt along the side of the Wiesel (like the Germans did in WW2 with the later years MkIV Panzer) and make sure the diesel can handle a modest increase in weight. The skirt would help with RPG and higher caliber small arms fire. As for the rifle if a tungsten or depleted uranium penetrator was added to the round I think the anti-armor capability would be improved. Laser/thermal/night vision-type sighting would have to replace the old 50 cal spotting rifles and any stabilization would help (although the impulse to go overboard has to be resisted because size/weight/minimal complexity matters). The real trick would be to develop some sort of “revolver” type magazine for the rifle so that several rounds could be readily available (like the revolving magazine in say a .357), to fire rapidly without reloading and this way the vehicle could really shoot and scoot. It rather used a Revolver-loading system for a Recoilless rifle-Centric Vehicle using a 105mm (or bigger) and mounted on a light tracked chassis, and protected with an active system (Zaslon/Arena) to be utilised as an Anti-Tank platform . That would give a simpler and lighter (thus cheaper and more reliable) system that could be mounted on light wheeled platforms too. I wonder if a weapon like the M50 Ontos could be made. Perhaps a modern variant could also feature a self-reloading mechanism. Basically this vehicle was light weight, and could be air dropped. It could also go onto soft soil and could more easily maneuver in narrow city streets. On the downside, it was vulnerable to RPGs and land mines. From what you are basically describing, can’t help but think about the 2S25 Sprut Light Tank:18-20 tons, airdropped, amphibuous and deployed in conjunction with infantry and other armoured vehicles such as BMP-4. Yeah. If I remember it correctly, this article will be followed by Armoured vehicles proposal on 11th February… Said article is basically a list and short description of possible armoured vehicles. We can have longer discussion about Sprut then. if the vehicle is light enough, good of-road tires will work just fine. You just cant have it for heavily armored vehicles. 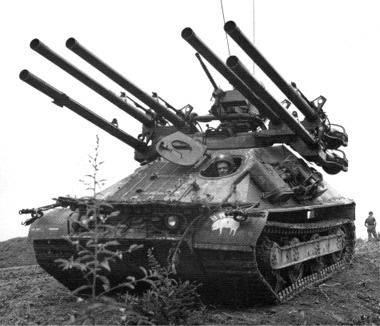 ATGW launchers can provide heavy anti-tank capability (the right Recoiles Rifle probably could too) and you could put all types of direct or indirect fire anti-personal weapons on the platform. Small size and mobility can offer as much protection as heavy armor in most battle scenarios I believe. And, you could manufacture many using same resources to manufacture one heavy tank. Not too mention air transportability, crossing bodies of water or bridges, etc. You need heavy and light I believe. But, light wheeled could have more uses than just utility vehicle. I believe their role in direct engagement should be expanded. 4. a fourth vehicle equipped with Stinger SAM’s and two .50 cal machine guns (like the US Army’s Avenger) and a trailer. Four vehicles and you have direct and indirect fire capabilities along with anti air defense and ATGM capability against MBT’s. That would help, say the 82nd Airborne delay a Russian invasion of the Baltic states or work well for a rapid deployment force in Africa or some other global hotspot. Yes, that is a good idea. Also, weapons you listed should be removable so that infantry doesn’t lose fire support in the case vehicle is disabled or destroyed. I agree with you Red65 and with Picard reply. I would make the weapons not only removable but, interchangeable. Not sure if stingers and .50 Cal will be too much together. I might want .50 separate. I would put M134 minigun on one of the vehicles. I would give the towables their own power. Even if its limited power with an electric motor rotating wheels. This would make it much more capable in bad terrain, instead of being pulled completely. It would add parts, cost, and maintenance. So, I would have to look at that aspect carefully. Almost every weapon used today on the ground can be put on a light vehicle, almost. Duviel-I like the minigun idea! I think some Humvees have been equipped with an Avenger system that uses Stingers and I think they throw in the 0.50 caliber too but if you could do something like when a Vulcan 163 (I believe) was mounted on M113-mount a 20MM on a vehicle, find a compact radar for target acquisition (like the Swedes do with the RBS 70 and Giraffe radar), then I wonder if it would be possible, without getting Gepard-like in size to create a very mobile Vulcan platform that corrects the manual aiming issues that took it out of service, and add some Stingers to that and create an effective, very mobile, air transportable, low altitude defense system. I think I’m getting ahead of myself and to do what I’m thinking of would create another Gepard but…..
All that said I am a fan of your idea. You could have walker robots, but in that case, and in order to actually take advantage of their legs, they would be very small – nowhere close enough to replace tracked vehicles, especially ones with heavy weapons or used for transport. Tracks have major advantage over wheels in terms of low ground pressure and good traction, and those advantages would be even more pronounced versus any kind of a walker.